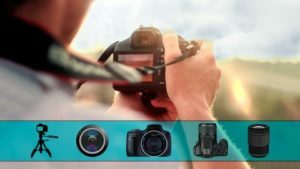 Photography Fundamentals Guide For Beginners: Composition, Focus, Exposure, lighting, Raw Editing in Lightroom & more! Welcome to our Photography For Beginners Complete Guide: Master Photography course! This course was designed and produced over several months in partnership with a Toronto based professional video production company. This course will walk you through everything you need to know to get started in Photography and much more! By the end of this course, you’ll have a strong understanding of how to capture great photos and then edit them professionally. The instructor for this course is David Paul. He is a Toronto based Professional Photographer that is often featured across several social media platforms. He has established himself as an urban landscape photographer with a focus on unique street scenes. David has been asked hundreds of times how he captured his photos and through partnering with a video production company, he was able to create a complete guide to photography for beginners! Enrol today to take your photography game to the next level!